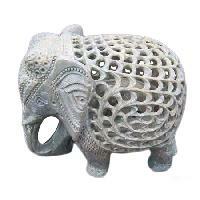 Made of high quality soap stone the piece is elegantly chiseled by our highly dedicated craftsmen. It has got ancient looks and that is its beauty. Ideal for use as ash tray, this will certainly attract the attention of everyone. Make it a must item for your private parties and see the difference. Metier Lifestyle Products Pvt. 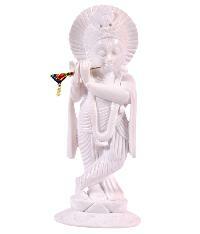 Ltd.
Our artists have carved this incomparable, unmatched piece of art keeping in view the contemporary motifs. Smokers will certainly love this. This a combination of two varieties of artistic products. It is elegant, beautiful. 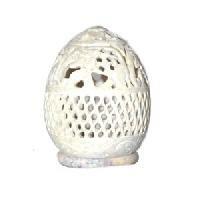 Can be used as candle stand and the dish can be used for many purposes. 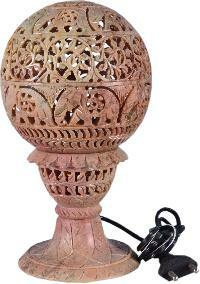 Remove the layer of darkness inside your well decorated rooms by using this candle stand that has unmatched beauty. 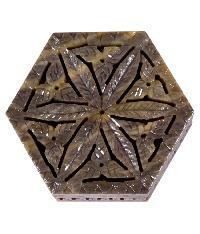 This unique piece of art made in soap stone with a dark brown finish is ideal for any corner of your home. Superbly designed, the artist has given lot of attention to minute details. This terrific oval ash tray is not only elegant but also aesthetic. 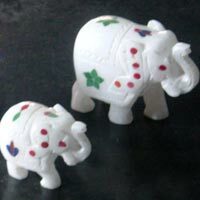 Made from the purest of pure soap stone, just like our other products, it is one of our best. Wonderful! A fine example of perfect craftsmanship, this will certainly win hearts wherever it goes. It has got a medieval look and that is its unique characteristic. With its well-crafted exterior this hexagonal beauty is perfect for keeping your most valuable jewellery. Inspired by the majestic Taj Mahal this piece is available only with us. With metallic finish this piece has been carved giving attention to minute details by our highly experience and innovative craftsmen. Can be used for various purpose. 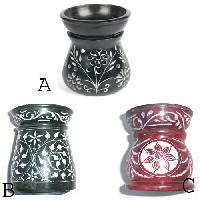 This category combines three items -- candle stand, cup base and salt container. These are available in many more colors. It is the right choice! This is another of our piece which has been inspired by the ayurveda. It's antique finish gives it a medieval identity, but it is made for modern users. 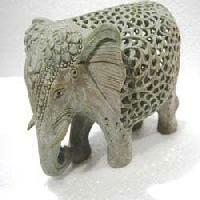 This decorative soap stone piece has been spectacularly hand-carved. The artistic quality of this one cannot be matched with any other article in this category. This does not belong to the Harappa age, but very much in today's time. Its antique finish will make everyone think how old it might be....! 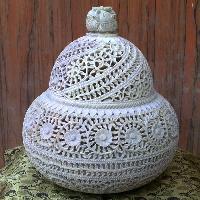 Made of pure soap stone, the dome of this piece is intricately carved. 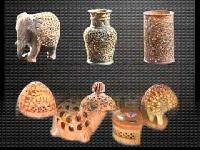 You can see that the designs are based on the 'nakkasi' done by Mughal craftsmen of yore. Another of our classic items made for placement at the altar of God. It's sleek design and superb exterior finish will certainly give peace to your mind.